Security of tenure is having the right to choose to stay or leave the house you live in. When you rent, this choice is also dependent on your landlord. Most renters have a story of a time they’ve had to a leave a house they would have rather stayed in. A survey of tenants in 2010 found that the house no longer being available was one of the most common reasons cited for moving 1. Security of tenure is also about creating a home. Knowing you will be able to stay in your house a while lets you make plans, plant a garden, settle children into school. It means you can take your ‘home’ for granted and focus on other aspects of living, rather than worrying about the possibility of needing to again go through the difficult process of packing, house hunting, moving, unpacking and resettling. So what sort of security of tenure do renters in New Zealand experience? One measure of our current security of tenure is to look at how often we move. On average, owner-occupiers spend five years in their house, compared to the average residential tenancy which lasts just 15 months, with half of tenancies ending before ten months is up 2. That is about a house a year for renters. A longitudinal study of New Zealand children has found that half of private renters had moved between the birth of their child and the time it had reached the age of one, compared to less than one in five homeowners and one in four households in social housing having moved in that time 1. Owner-occupiers clearly move less, and less at relatively busy times. So why is this important? Moving is stressful, expensive, and there is some evidence that moving too often is associated with negative outcomes for children, especially multiple moves before the age of two 4,5. Of course, the flexibility of the rental market can be advantageous at some points. A short term tenancy fits well for students renting for the study year. However, very few rental households are made up of the traditional group of flatmates; most are one-family (63.3%) or single person households (23.5%) 6. Traditionally people have looked to home-ownership when security of tenure has become important. Between 2001 and 2006 there was a 150% rise in the number of households with at least one person working who were unable to afford to buy a house at the lower quartile house price 7. Households will have to increasingly find ways of achieving permanence and security of tenure in a rental house. However, this security of tenure can be hard to find when renting. Tenancy law has the most obvious impact on security of tenure and the greatest ability to provide renters with a choice to stay where they are. In New Zealand, a landlord can end a tenancy with 90 days’ notice for no particular reason. This drops to 42 days where landlords of their a family members are to move into the house. This doesn’t look great for New Zealand renters when we look at how things work in some other countries, especially in Europe. In Ireland a sharp jump in the number of renters saw a review of tenancy law with an intention to create more equality between owner-occupiers and renters. A new regime was introduced, so that, after a trial period of six months, tenants were guaranteed a tenancy of four years 9. So there’s scope for things to change and some good examples of how it could look in New Zealand if we decided that renters have a right to security of tenure, and to a home. Renters should be guaranteed the right to choose to stay in a house for a number of years, so long as they are keeping their side of the bargain. A house that we can make into a home, should we choose to, should be something we can take for granted, rented or owned. A house should provide a warm, dry, stable base in which we can be ourselves, and from which we can face the challenges of the rest of the world. Rumbold, A. R. et al. The effects of house moves during early childhood on child mental health at age 9 years. BMC Public Health 12, 583 (2012). Fowler, P. J., Henry, D. B., Schoeny, M., Taylor, J. & Chavira, D. Developmental timing of housing mobility: longitudinal effects on externalizing behaviors among at-risk youth. J. Am. Acad. Child Adolesc. Psychiatry 53, 199–208 (2014). Wharton, N. & Cradduck, L. A comparison of security of tenure in Queensland and in Western Europe. Monash Univ. Law Rev. 37, 10–15 (2010). Norris, M. Path Dependence and Critical Junctures in Irish Rental Policy: From Dualist to Unitary Rental Markets? Hous. Stud. 29, 616–637 (2014). 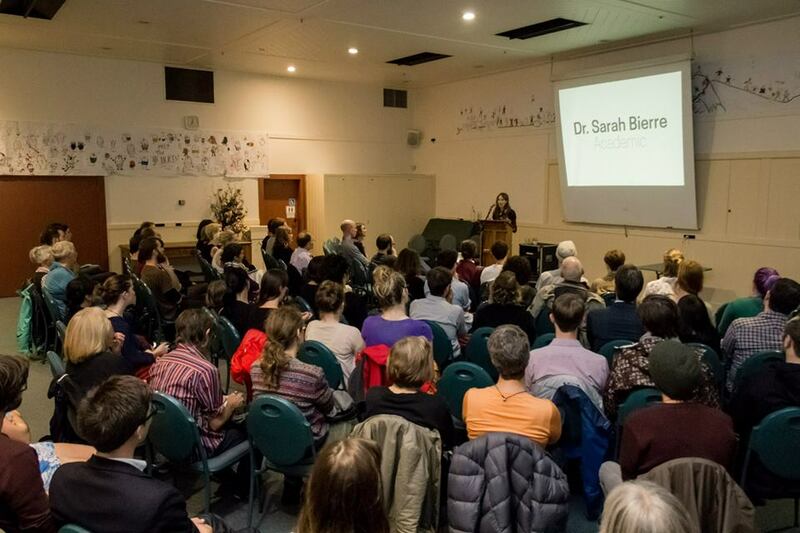 Dr Sarah Bierre is a research fellow with He Kainga Oranga / the Housing and Health Research Programme, at the University of Otago, Wellington. This is the speech she gave atthe launch of Wellington Renters United. In: Have a rental agreement that grants them long-term security and stability. .